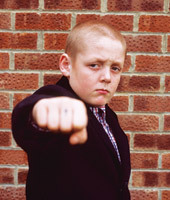 Thomas Turgoose plays a vulnerable, tough-talking 12-year-old in Shane Meadows’ harrowing film This Is England. What can moviegoing have to do with the call of Christ? In his book Whistling in the Dark, writer and Presbyterian minister Frederick Buechner provides some clues. He speaks of Jesus’ command that we love God and love our neighbors. Art can change the world when it shows us not what we want to see, but what really is — when it reveals what our neighbors experience and how they perceive the world around them. Here are a few recent films that challenge moviegoers to step beyond their comfort zones, travel the world, and cultivate understanding — that is to say, love — for their global neighbors. In a coastal English town in 1983, 12-year-old Shaun and his mother are heartsick at the loss of Shaun’s father, killed while fighting in the Falklands. Despondent and poor, Shaun suffers daily humiliations at school. But no one steps in to fill the void in his heart. That is, until he happens upon some skinheads, who show him unexpected kindness and the comfort of fatherlike affection. When the group is recruited by an aggressive nationalist movement to fight and “take back” England from the influx of immigrants, Shaun is easily persuaded. The poisons of racism go to work, leading to devastating consequences. Daniel Abol Pach, Panther Blor, and John Bul Dau are three of the 25,000 “Lost Boys of Sudan” who fled Sudan’s civil war and made a five-year journey across the desert to a United Nations refugee camp in Kenya. Almost half of those who fled Sudan were lost to disease, malnutrition, and other dangers. But Daniel, Panther, and John survived, and God Grew Tired of Us tells their story. Iranian filmmaker Jafar Panahi is winning acclaim for Offside, a light-hearted new drama set in and around Tehran’s Azadi stadium while Iran plays Bahrain in pursuit of the World Cup. On the edge of the roaring crowd, a group of young Iranian women disguised as men have been detained by police for trying to enter the stadium. Under the rule of the Islamic Republic in Iran, women are not allowed to attend sporting events due to the risk of overhearing men’s crude language. But these spirited ladies just want a chance to cheer on their home team. German filmmaker Philip Gröning asked the Carthusian monks, the strictest order of the Catholic Church, if he could be the first to film their daily routines. That was in 1984. Almost 20 years later, they consented. Watching Into Great Silence, viewers tour the extraordinary Grande Chartreuse monastery to observe the monks — and perhaps even join them — in prayer. If this sounds like a strange subject for a film, wait until you see the glory of the French Alps outside Grenoble, which tower over this medieval enclave, and the unforgettable faces of the monks, which express their deep, unspoken longings for communion with God. At almost three hours long, the film tests viewers’ patience. Gröning’s subjects have taken a vow of silence; we only hear their voices during prayer, chants, and an occasional “day off” when they can chat. But the quiet leaves us profoundly aware of what these men sacrifice, and it may reveal just a taste of what they gain.